This FIG press release also confirms the participation of Sandra Izbasa, Elena Zamolodchikova and Suzanne Harmes. But it also notes the absence of Anna Pavlova and Oksana Chusovitina. I also assume that Ksenia Semenova won’t be present, but can’t confirm that at this point. With Chusovitina (who is ranked first) and Pavlova (ranked third) out, Cheng has the vault nearly locked up unless Zamolodchikova has massively improved since her performance at the DTB Cup. Alicia Sacramone is also up there in this ranking, followed by Jade Barbosa — neither will be there. Hong Un Jong may be the only real competition. And if that’s the case, I think Cheng can assume that this one is in the bag. He is ranked only sixth right now on bars, but she’s the front-runner, with Yang second unless Beth Tweddle shows up. Nastia Liukin will obviously not be there, and I’m pretty sure Semenova is out as well. Dariya Zgoba is ranked high (second) but can’t truly compete against the Chinese start values. I think at this point, I might consider calling this for Cheng too. Pavlova, Johnson and Liukin are among the top eight, and won’t be there. Steliana Nistor is also out, and wouldn’t have taken first anyway, in all likelihood. 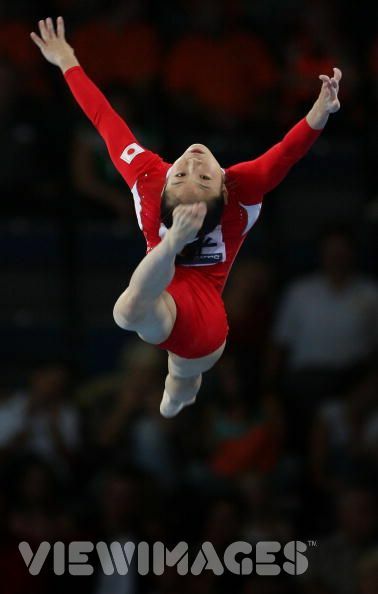 Catalina Ponor, who is currently ranked first, hasn’t shown up in international competition in a while, so I don’t know what kind of shape she is in. Cheng’s biggest competition is likely to come from other Chinese women, and notably Li. This will likely be the most interesting battle, and it will probably play out among Cheng, Izbasa and — to a lesser extent — Jiang. Harmes is ranked tenth on floor, but I don’t think she has a chance at the podium with these players, unless we see a major mistake. Zamolodchikova could also theoretically compete on floor, but only if she’s in much better shape by mid-December.